Kenny’s first UK tour in 2017 included the opportunity to be a part of Whispering Bob Harris’ ‘Under the Apple Tree Sessions’ which led to an invitation to appear in his next documentary, alongside artists like Emmylou Harris, Brandy Clark and Jamey Johnson. Overwhelming praise for those first UK dates and Foster’s debut album ‘Deep Cuts’ came from Sounds Like Nashville – “heartfelt lyrics, really striking a chord with European audiences; AmericanaUK – “great voice and songs from an artist who oozes authenticity”; and Lyric Magazine – “a must listen for anyone who has a soul”. 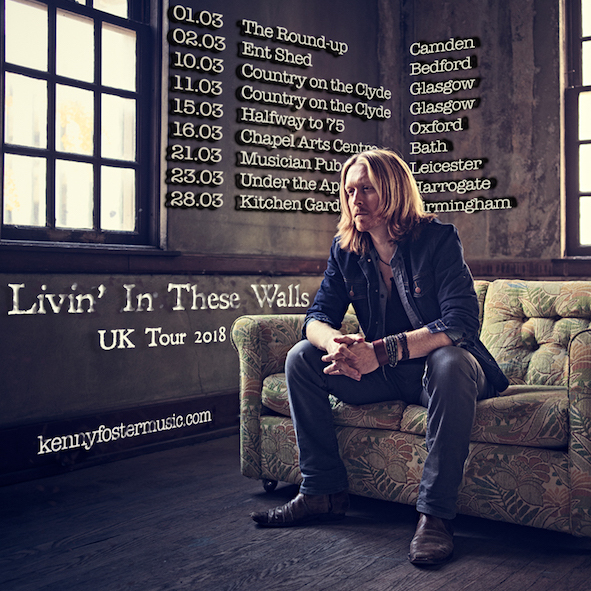 Kenny Foster tours the UK for a second time in March 2018.